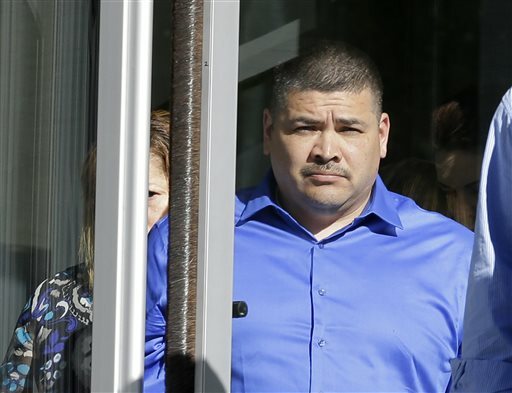 SEATTLE (AP) — Ten American Indian tribes are gaining access to national criminal databases after a deadly shooting in Washington state helped reveal flaws in the way federal authorities and tribal governments share information. Tribes can now conduct thorough background checks and add criminal records to the databases, the U.S. Department of Justice said Thursday. It comes after a member of the Tulalip Tribe was able to buy a gun later used by his son to kill four classmates and himself at a high school last year. A domestic violence restraining order issued by a tribal court in 2001 should have stopped the father from buying firearms. Two tribes from Washington and two from Arizona, plus one each from Oklahoma, North Carolina, Michigan, New York, Oregon and Idaho will take part in the program unveiled at the annual White House Tribal Nations Conference in Washington, D.C.
“This innovative program will allow an unprecedented sharing of critical information between tribal, state and federal governments, information that could help solve a crime or even save someone’s life,” Deputy Attorney General Sally Quillian Yates said. Tulalip Chairman Melvin Sheldon Jr. said the program will empower tribal law enforcement nationwide by giving them the tools they have sought for years to protect their communities. “It has consistently been our position that having the ability to independently report and access criminal information is the very best way to protect our citizens,” he said. Wyn Hornbuckle, a Justice Department spokesman, said the agency has focused on improving tribal access to the federal databases, but their participation hinged on regulations in the state where they are located. A working group came up with solutions to those roadblocks, leading to the new program. The shift allows tribes to conduct background checks, especially when they need to place a child with a foster parent in an emergency situation, Sheldon said. Plus, they can enter tribal restraining orders into federal databases, which are used by gun dealers to ensure legal sales, he said. The restraining order against Raymond Fryberg, which should have prevented him from buying guns, was never sent to the Snohomish County clerk or entered into the National Instant Criminal Background Check System. His 15-year-old son, Jaylen, used one of his father’s guns in a mass shooting at Marysville-Pilchuck High School in October 2014. Raymond Fryberg was not charged in the shooting but later was convicted of six federal counts of illegally possessing firearms. He’s scheduled to be sentenced early next year. The Tulalip Tribe urged the U.S. attorney general to grant tribes access to the databases in 2005, 2010 and 2013, but no system was established, said Francesca Hillery, a tribal spokeswoman. One problem was logistics. There was no uniform way for tribes to enter criminal information directly. In Washington state, when a state court issues a restraining order, the clerk sends the record to the sheriff, who puts it in the database, said Heather Anderson, with the Washington State Patrol’s criminal records division. But the reporting process between state authorities and the 29 federally recognized tribes in Washington was inconsistent. The program “will help us understand the information gaps and the best ways to use this service to strengthen public safety in Indian country,” said Yates, the deputy attorney general. The tribes participating in the program are: the Tulalip and Suquamish tribes of Washington; the Pascua Yaqui and White Mountain Apache tribes of Arizona tribes; the Cherokee Nation of Oklahoma; the Eastern Band of Cherokee Indians of North Carolina; the Keweenaw Bay Indians of Michigan; the Oneida Indian Nation of New York; the Umatilla of Oregon; and the Shoshone-Bannock Tribes in Idaho.